Palm Beach Movers – If you have a move coming up, leave it to the experts. 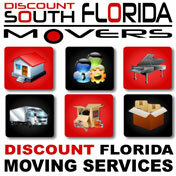 Discount South Florida Movers has been helping people with all of their moving needs for over many years. Our team of professionals can save you time and peace of mind. We also offer the lowest rates around so you don’t have to break the bank to get high quality moving services. Our goal is to help you with whatever you need done. From securely packing your belongings to storage solutions for interim moves, we offer a service for every one of your needs. Let our on-site supervisors plan out the easiest move while our movers swiftly and safely move your belongings to their new destination. We guarantee that you will be satisfied with your hassle free experience. Palm Beach is a town in South Florida. Located within the county that bears its name it has a year round population of 11,000 but that number balloons to 30,000 seasonally. The town was first established by Henry Morrison Flagler, the East Coast Railway magnate and industrialist. He developed exclusive housing for the new American royalty of the Gilded Age. There are many points of interest in the town. There is a lot of history contained in the Breakers, an old hotel as well as Whitehall, a Flagler Museum. Other things to do in the city are to visit the Four Arts Gardens, Mar-a-Lago, and Pan’s Garden. Biking along the shore is also a popular activity as well although it can be treacherous in places. Discount South Florida and Palm Beach movers provide low rates on residential, commercial, piano and long distance moving.